I always knew I wanted to be a jeweller ,from my early days in secondary school. I was born in East Lothian, Scotland but emigrated with my parents to New Zealand at the beginning of the sixties. After living there,(which is where my first memories are of) we moved on to Hong Kong. This is where my love for jewellery must have come from, as anyone who has visited Hong Kong will know ,there is an abundance of jewellery shops. I guess it just seeped into my consciousness, as by the time I reached secondary school I knew that jewellery making was my goal . I have always been “arty”, enjoying drawing and making things, so it seemed natural to apply to art college, which I attended in Edinburgh. There I specialized in jewellery with silversmithing. 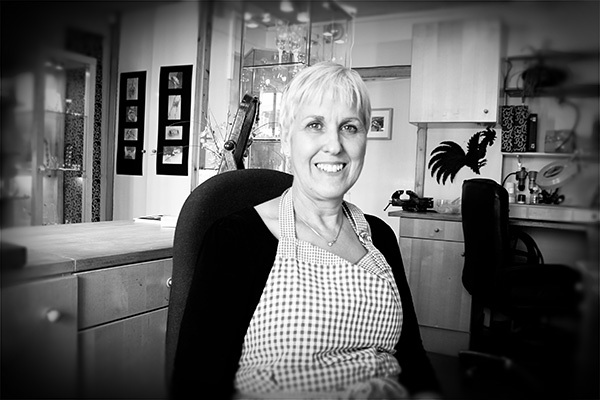 After leaving I set up in business and I have now worked as a jeweller for over 30years. I still love the buzz of designing and making pieces that give people pleasure and special memories. What better job could there be? All items available on the website are hallmarked at a British Assay Office.